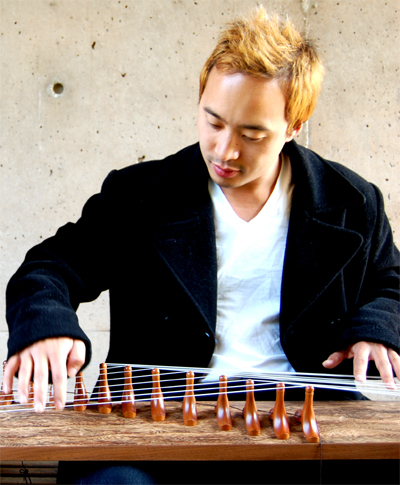 His music reveals an eclectic array of influences (metal, experimental, taiko, and spectral music) and his compositions have been internationally performed by world renowned groups such as the Selesian Philharmonic, Contemporary Music Ensemble Korea, Music Now, Bridge Chamber Virtuosi, Atlanta Schola Cantorum, Borromeo String Quartet, and Watsonville Taiko. Vasallo is a strong advocate for the Bay Area new music scene and has collaborated with groups such as Elevate Ensemble, The Living Earth Show, Del Sol String Quartet, Mobius Trio, Wild Rumpus, San Francisco Choral Artists, Friction Quartet, Redshift Ensemble, and Ignition Duo. His ongoing goal is to hybridize extreme metal with modern classical music. He often designs sound worlds using acoustic instruments with electronic/digital manipulations. In 2010, Vasallo was the recipient of the President’s Dissertation-Year Fellowship Award – the first arts student to ever receive that honor. Other honors and awards include: The American Prize in Composition 2015, Washington Composers Forum 2015 Award, San Francisco Classical Voice Music Educator Award 2013, International Music Prize for Excellence in Composition 2011, MACRO Composition 2011 award, San Francisco Choral Artists New Voices 2009 award, The Seattle Pianist Collective 2008 selection, UCSC Student Orchestral Composition 2008 winner, 60×60 project – Pacific Rim Mix 2008-2009 selection, The David Cope Award for Music Composition Excellence 2008, New Jersey International Film Festival 2005 Selection “Sinful” musical score, and CSUEB Student Composers 2005 Competition winner. Director of Music Industry Studies, AV Technology, and Music Composition at Diablo Valley College, Vasallo has taught college-level courses in Music Theory, Composition, Digital Audio, Electronic Music, Music Appreciation, Form & Analysis, Counterpoint, Instrumentation, Music Industry, History of Rock & Roll, and Songwriting in addition to his work as a composer and performing artist. He has previously taught at Cal Poly Pomona, CSU East Bay, UC Santa Cruz, Gavilan College, and Los Medanos College. Vasallo currently composes, sings, and plays guitar for his metal projects Antagony and Oblivion. He is an Artistic Director for Composers, Inc. and his music is published by Santa Barbara Music Publishers and released by Innova Recordings and Unique Leader. Vasallo’s music reveals an eclectic array of influences and his compositions have been internationally performed. His ongoing goal is to hybridize extreme metal with modern classical music. Vasallo often designs sound worlds using acoustic instruments with electronic/digital manipulations. Vasallo earned his DMA from UC Santa Cruz and is currently Director of Music Industry Studies at Diablo Valley College and Artistic Director for Composers, Inc. He also composes, sings, and plays guitar for his metal projects Antagony and Oblivion. His music is published by Santa Barbara Music Publishers and released by Innova Recordings and Unique Leader. Bay area native Nick Vasallo picked up the electric guitar while in high school and went on to form the extreme metal band Antagony. A graduate of California State University, East Bay, he completed his doctorate at the University of California at Santa Cruz, where in 2010 he was given the President’s Dissertation-Year Fellowship Award – the first arts student to receive that honor. Other honors include the American Prize, Washington Composers Forum Award, San Francisco Classical Voice Music Educator Award, International Music Prize for Excellence in Composition, MACRO composition award, and the San Francisco Choral Artists New Voices award. He has taught college-level courses in an array of subjects. Now Director of Music Industry Studies, AV Technology, and Music Composition at Diablo Valley College, he has previously taught at Cal Poly Pomona, CSU East Bay, UC Santa Cruz, Gavilan College, and Los Medanos College. Vasallo also composes, sings, and plays guitar for his metal projects Antagony and Oblivion. His music is published by Santa Barbara Music Publishers and available on Innova Recordings and Unique Leader.